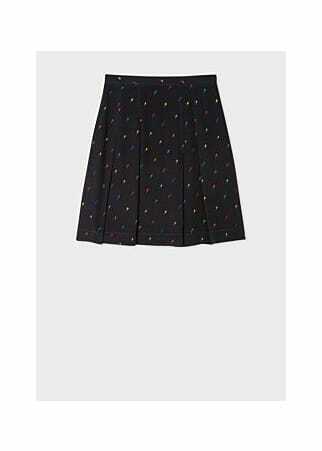 PS by Paul Smith feminine black skirt featuring a vibrant and fun all-over 'Ice Lolly' print and is very lightly pleated at the waist. Perfect for summertime. The piece is designed to finish just above the knee and is finished with angled hand pockets and a concealed side-waist zip.